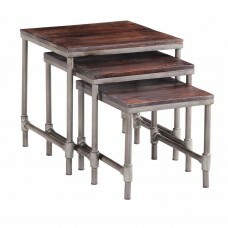 Constructed from solid mango wood timbers and carefully finished with a deep lustre walnut stain and a hand waxed finish. 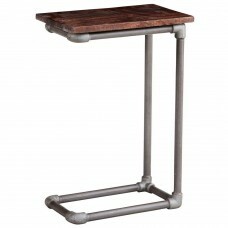 This range features tubular steel legs and frames in a grey finish thst have been collected from eco-friendly reclaimed industrial metal. 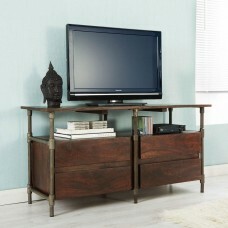 Made in India, this collection comes fully assembled. 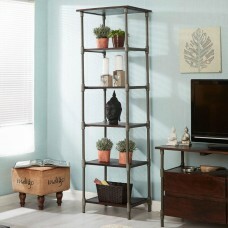 Santara industrial wide bookcase with five shelves. This piece o..
Santara industrial narrow bookcase with five shelves. This piece..
Santara industrial low sideboard/TV cabinet with two doors and o..
Santara industrial square coffee table with shelf. 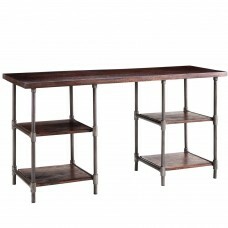 This piece of..
Santara industrial writing desk or dressing table with four shel..
Santara industrial nest of three tables. 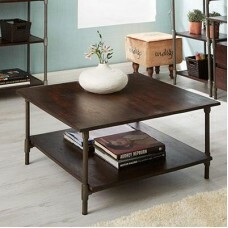 This piece of furniture..
Santara industrial sofa table. 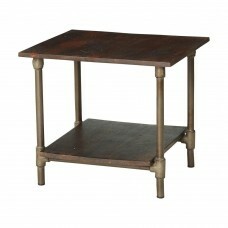 This piece of furniture is constr..
Santara industrial square table with shelf. 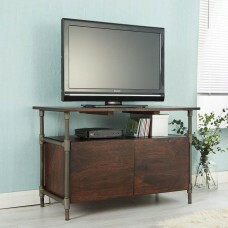 This piece of furnit..
Santara industrial four drawer TV cabinet with shelf. This piece..